Financial collapse and hyperinflation make Venezuela an economic disaster zone. The crisis is no longer confined to one nation: refugees and migrants are streaming into neighbouring countries. Epidemics and violent crime are spilling over borders, endangering Colombia’s fragile peace process in frontier regions. As Venezuela’s President Nicolás Maduro looks to cement his hold on power, his country is sinking into a trough of misery. Hyperinflation has compounded the scarcity of food and medicines. Epidemics of preventable diseases and a child malnutrition crisis are increasingly deadly. Violent crime has spiked. An estimated four million Venezuelans have emigrated, with tens of thousands crossing the border with Colombia each month in search of a new home. Venezuela’s neighbours, once bystanders to its domestic tensions, face a catastrophe on their doorsteps. Latin American governments, the UN, European Union and US must redouble efforts to manage the humanitarian crisis, including by ensuring neighbouring countries have the resources to cope. They also should lobby, ideally together with China, for renewed government-opposition talks aimed at reforms enabling more representative politics and economic recovery; threatening further sanctions might help push the government toward concessions. While the government has snuffed out months of civil unrest, stripped the opposition-run National Assembly of its power and established a new Constituent Assembly with authority over all Venezuelan institutions, it has made little effort to ameliorate the country’s economic woes. Instead, it claims to be protecting the Venezuelan public against foreign powers and their domestic allies, decrying reports of the very real humanitarian crisis as lies aimed at prompting an “imperialist intervention”. It is also blocking efforts to provide food and medical aid. The creeping authoritarianism of the latter years of former President Hugo Chávez’s rule and the first years under Maduro has metastasised into full-blown partisan exploitation of state and judicial institutions. Information that challenges official accounts is brushed aside: the state publishes neither reliable economic data nor credible health statistics. A full-scale default on the foreign debt appears but a matter of time. Scarcity and hunger have led to increased, albeit still sporadic, looting. The public sector’s degradation has left a deep mark in peripheral regions. In its quest for hard currency, the government has set aside over 100,000 square kilometres for mining. Its lack of regulation breeds collusion among the military, criminal gangs and Colombian guerrillas. 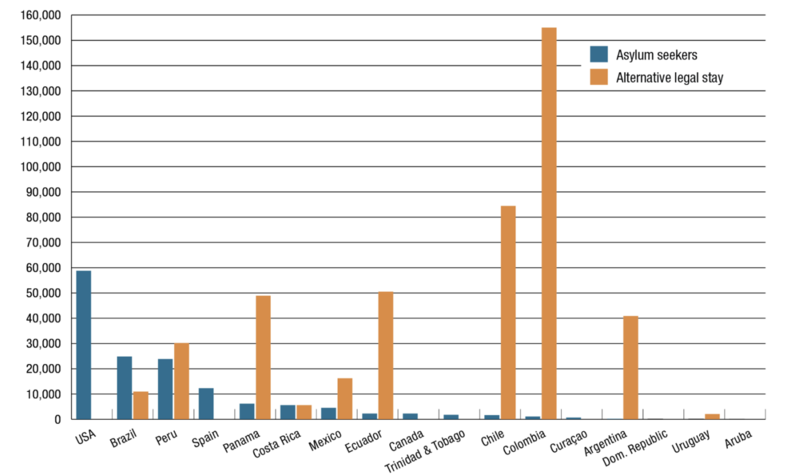 Migrants heading to Colombia must dodge competing state security forces and armed irregulars in border areas. After crossing, the poorest are left to eke out a living in a region with one of Colombia’s highest unemployment rates. Malaria is again common and spreading across borders. Diseases that had been eradicated, such as measles and diphtheria, have returned. Despite its dismal economic record, the government occupies a strong position. The Venezuelan opposition is divided and rudderless. 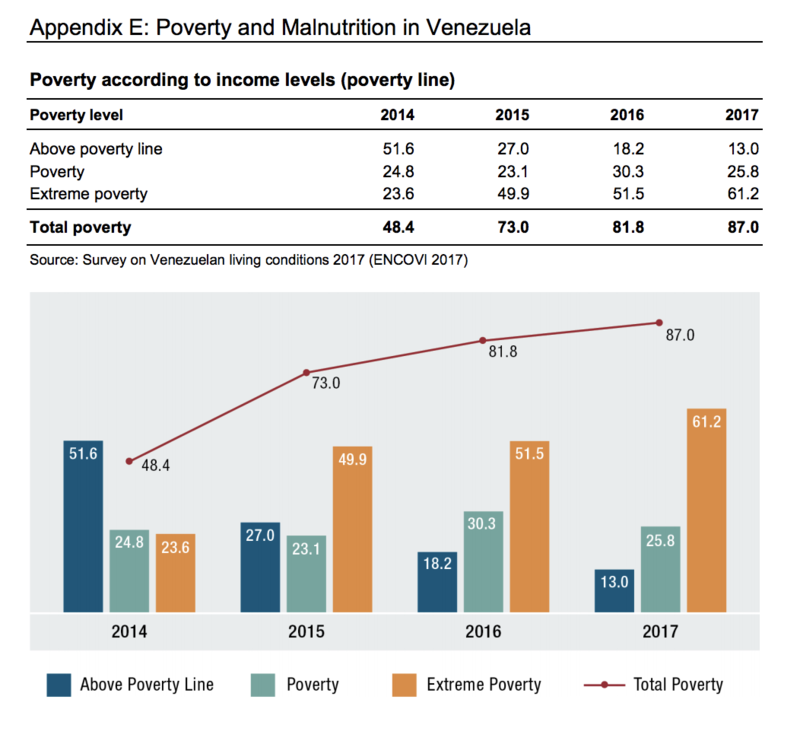 A sizeable segment of the electorate will vote for Maduro, either out of loyalty or due to dependence on the government for food rations and other subsidised goods. The electoral authority remains under executive control, and has proven itself willing to bend the rules in the ruling party’s favour and even, in one instance, seemingly to commit outright fraud. The first priority is to alleviate the human suffering. The Maduro government should accept the creation of a tripartite group, proposed by humanitarian groups, comprising representatives of the Venezuelan state, civil society and specialised UN bodies, which would coordinate the provision of humanitarian assistance. Such a body should address the government’s fears that allowing aid groups to deliver food would enable outside interference. The UN should work with Venezuela’s neighbours to help them provide for Venezuelans leaving their country. The second priority is to revive talks between government and opposition. Ideally, the government would postpone forthcoming presidential elections, but even if the polls go ahead, the priority afterward should be a swift return to meaningful negotiations. The US, Canada and the EU have sanctioned the government, and several regional leaders are considering following suit. In themselves, such sanctions rarely prove effective. But in Venezuela’s case, the threat of further sanctions, especially those imposed by Latin American governments, might improve prospects for negotiations, provided that threat was accompanied by reinvigorated diplomacy and tied to specific, realistic concessions demanded of the Maduro government. Talks should focus not only on specific electoral reforms, but on wider transitional measures, including opposition representation in key state institutions, economic reform and guarantees for top regime officials were they to eventually lose power. While past rounds have failed, negotiations between the regime and opposition, facilitated by regional or other leaders, backed by concerted international pressure and aimed at establishing a more inclusive political order and restoring checks and balances, remain the only way out of the crisis.